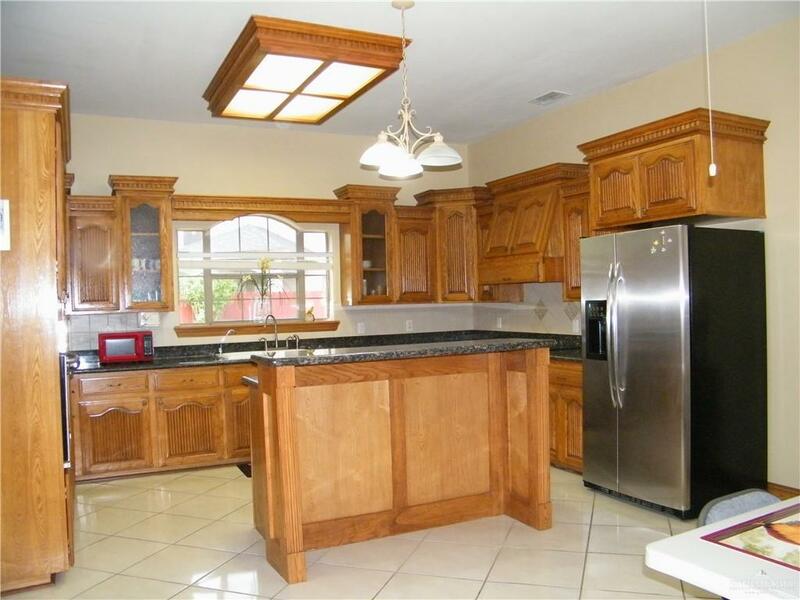 Well - priced Edinburg home with 3 bedrooms, 3 bathrooms, 2 car garage, spacious 2,532 sqft, and is situated on 2 lots. Home has inviting curb appeal with cantera columns, decorative brick design, mature landscaping, and solar sun screens. 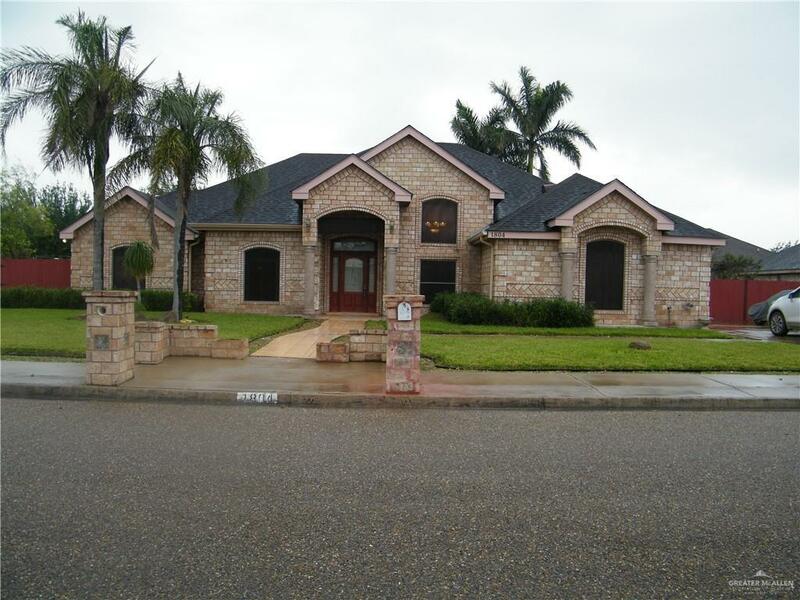 Home is near US 281 for quick access. Home has covered patio and lovely backyard for privacy. There are two large driveways on each side of the property. The composite shingle roof is only about 7 years old. "Video and/or Audio Surveillance may be in use. 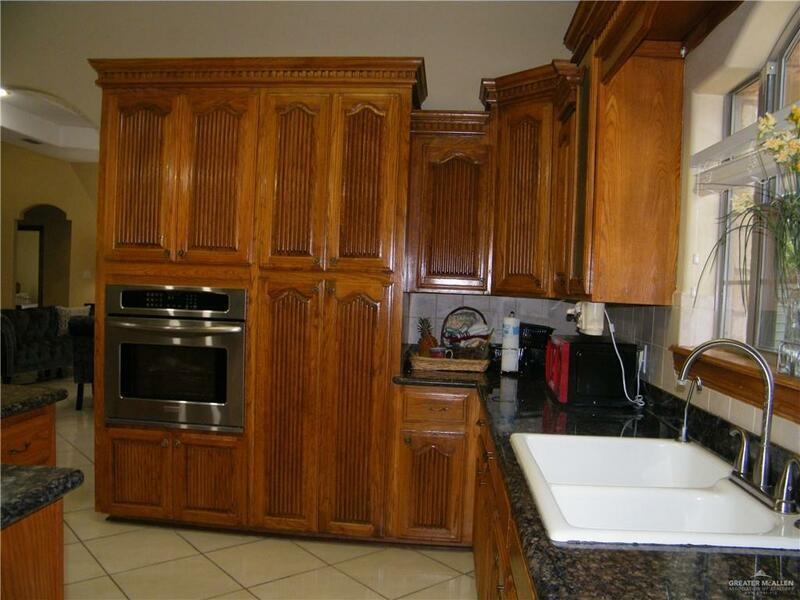 Listing by Marisol Q. Morris of Berkshire Hathaway Homeservices Rgv Realty.